This Book of Memories memorial website is designed to be a permanent tribute paying tribute to the life and memory of Douglas "Doug" Barkley Johnson. It allows family and friends a place to re-visit, interact with each other, share and enhance this tribute for future generations. We are both pleased and proud to provide the Book of Memories to the families of our community. Douglas Barkley Johnson, age 74, of the Burwood Community passed away Tuesday April 9, 2019 at his residence. Doug was born in Rutherford County to the late Clarence Barkley and Mary Lou Lewis Johnson. He was the owner and operator of J & S Plastering, Inc of Burwood and he loved to fish. A Loving Husband, Father, Grandfather, Great Grandfather, and Brother, he is preceded in death by his siblings, Martha Jane Sparkman, Betty Ann Hilliard, Edith Wakefield, Pete Johnson, Alice Lynn and Faye Johnson. Survived by his wife of 55 years, Pat Jones Johnson, Son, Chris (Courtney) Johnson, Daughters, Cindy Johnson and Teresa (Jim) Wisdom, Brother, Clarence (Linda) Johnson, Sisters, Nancy (John) Carrington, Doris Daniels, Grandchildren, Lydia Cameron, Bryan Wisdom, Ashley Kelley, Zach Wisdom, Michael Wisdom, Alex and Will Johnson, Great Grandchildren, Jaxon and Cohen Wisdom and Ryman Wisdom (Soon to Arrive) , Special Niece and Caretaker, Linda Fox and many other Nieces and Nephews. 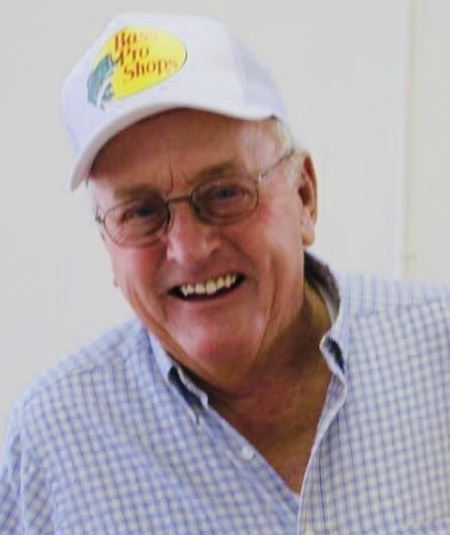 Services will be conducted 1:00PM Thursday April 11, 2019 at Williamson Memorial Funeral Home with Frank Johnson and Jerry Candler officiating. Visitation will be on Wednesday from 4-8PM and two hours prior to the service. Burial in Johnson Family Cemetery. Active Pallbearers are Kenny Anderson, Jimmy Daniels, John Carrington, Denny Johnson, Marc Jones, Ken Jones, Keith Carrington, Michael Hilliard. Honorary Pallbearers are Friends of Okeechobee, Florida, Larry and Donna May, David Fitzgerald, Dr. Cary Pulliam, Dr. Ruth Lamar, Chris Wilbeck, Merkle and Betty Rigsby, Members of Leipers Fork Primitive Baptist Church. In Lieu of Flowers, Memorials may be made to the Leipers Fork Primitive Baptist Church or Johnson Family Cemetery. WILLIAMSON MEMORIAL FUNERAL HOME & CREMATION SERVICES, 615-794-2289.